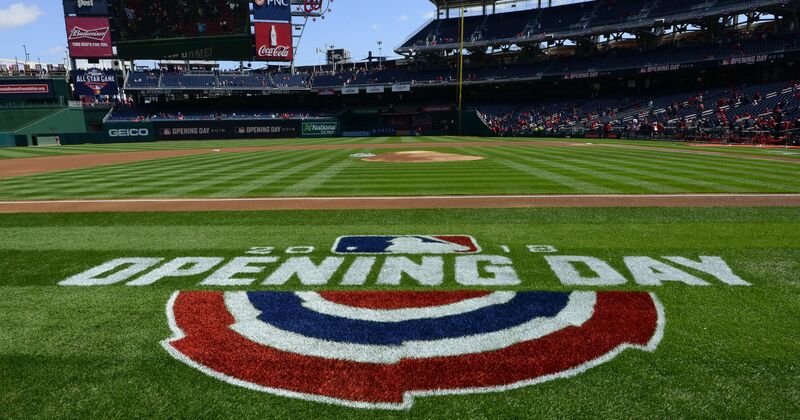 For the second straight Thursday, offices and schools all across the country will be missing people, as another unofficial holiday is bestowed onto the sports world, MLB Opening Day. Every team still has a chance on paper, as the march towards October starts with the unofficial start to spring. The pomp and circumstance, banners will rise, full rosters will be announced, and the people will come, Ray. Chills, right? Baseball is back! 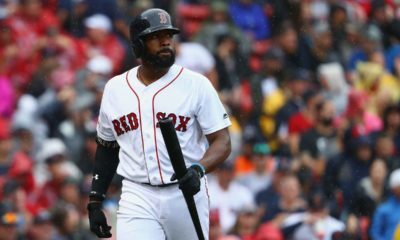 The Boston Red Sox are your defending World Series champs and are poised to defend the title. Can the Dodgers end its role as the back-to-back runner up and finally raise the World Series trophy? How will this year’s free agents adapt to their new teams? Which team will shock the world and be in contention? The journey starts with Opening Day. Every team will be strutting its best stuff on Opening Day and there are a few games that stand out above the others. The best pitching duel belongs to the NL East, as the Mets travel to Washington, where Jacob deGrom squares off against Max Scherzer in a duel of the most recent two NL Cy Young winners. Jacob deGrom took home the hardware in 2018, but Scherzer was hot on his heels and finished second in voting, on his path to what would have been his third straight Cy Young. Not to be outdone by the NL, when the Astros travel to Tampa Bay, Cy Young runner up Justin Verlander will square off against reigning Cy Young winner Blake Snell. This will be only the third and fourth time in MLB history that the winner and runner up of the Cy Young will square off on Opening Day. Ironically, the first two times also occurred in the same year, 1978 (per MLB.com). 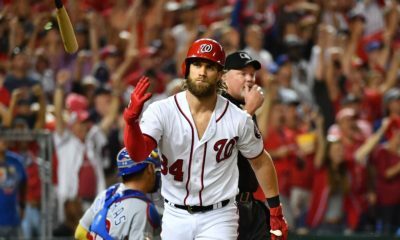 The two most intriguing games both will belong to the National League on Opening Day. This year, I believe the NL Central will be the most competitive division in baseball. That said, a pair on legitimate World Series contenders will square off in baseball’s smallest market. Paul Goldschmidt and the St. Louis Cardinals travel to Milwaukee to play Christian Yelich and the defending Central Division Champion Milwaukee Brewers. The Brewers were able to rundown the Chicago Cubs down the stretch and force a Game 163 to take the division title in 2018, while the Cardinals were on the outside looking in. The Cardinals are reloaded, adding the aforementioned Paul Goldschmidt, a perennial MVP candidate. The Brewers bolstered its already very potent offense, resigning Mike Moustakas and signing catcher Yasmani Grandal in an attempt to fill the only two holes that existed in that lineup. The other intriguing matchup takes place in the top-heavy NL East. Aside from the pitching duel of deGrom vs. Scherzer, the Braves will travel to Philadelphia to play the new look Phillies. Trophies aren’t won in the offseason, but Philadelphia may have had one of the best offseasons in recent memory. Phillies owner John Middleton dropped what may be one of the coolest things a team owner could ever say, when stated he was willing to spend “stupid” money this offseason to build a contender. Middleton and staff lived up to that claim, adding five former All Stars this offseason: Jean Segura, Andrew McCutchen, David Robertson, J.T. Realmuto and, of course, Bryce Harper. The Phillies also extended lone 2018 All Star Aaron Nola, who will be taking the hill on Opening Day. Atlanta is looking to build on its 2018 NLDS run, as Ronald Acuna Jr. and Josh Donaldson look to repeat as Division champs. 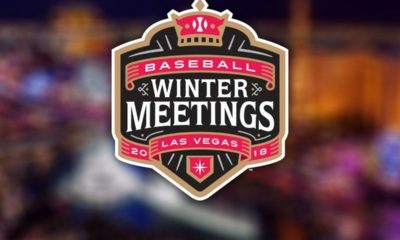 I expect this first series to set the tone for the 2019 season, as these two teams should be contending for the division crown, with the Mets and Nationals trying to keep up. No offense Marlins fans, enjoy the new uniforms, they’re really cool, but that may be the only enjoyable part, as your rebuild continues. AL Wild Cards: Yankees and A’s. World Series Prediction: Brewers over Astros in 7.